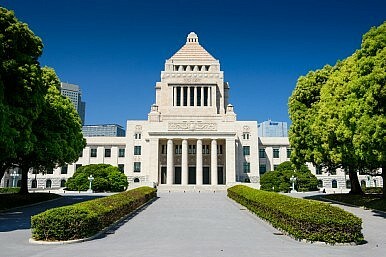 The LDP’s accelerated pace has forced other parties to respond with their own counterproposals in an attempt to slow the process down – ideally, for them, beyond the July 24 deadline. The Japan Innovation Party (JIP) has been the most proactive in trying to broaden the discussion beyond the LDP’s conception. JIP agrees with the LDP plan to abolish geographical limits on the Self-Defense Force (SDF)’s responses to contingencies around Japan, but wants to limit the use of the SDF to only responding to direct military attacks on Japan and responding to attacks on a foreign military defending Japan that has an obvious risk of leading to a direct military attack on Japan. In essence, they want to prevent the SDF from being able to operate in the Strait of Hormuz and other parts of the world for primarily economic reasons. Despite the significant differences remaining between the LDP and JIP, the LDP has expressed willingness to talk about the JIP’s proposal because they do not want the legislation to be entirely derailed at this late stage. The Democratic Party of Japan (DPJ), the largest opposition party, has been slower to present a counterproposal. Over the past months, they have focused on criticizing the government instead of providing an alternative vision for Japan’s future security. However, such obstructionism is unproductive and could even be harmful to the DPJ’s public image – and the party is finally starting to realize this. DPJ Deputy Secretary General Sumio Mabuchi wrote in an e-mail newsletter, “Simply saying it is ‘unconstitutional’ will no longer suffice. We should present a counterproposal to the security legislation.” Currently, a counterproposal is being put together under the leadership of Goshi Hosono, DPJ’s Policy Research Committee Chairman. What is more concerning than the rest of the LDP members’ acquiesce to the party leadership is that some of them do not actually believe the party leadership is right, but are unwilling to publicly speak out. Murakami attests that many lawmakers still stop by at his office to express their support for his position against collective self defense. From outside the Tokyo political bubble, there is also trouble brewing in Okinawa where local politicians are concerned that Okinawa will be “sacrifice[d]” as the first target of any retaliatory action. Civil society is concerned as well – a petition with 1.65 million signatures was submitted to both houses on June 29. Though the ruling party’s commitment to passing the new legislation appears unwavering, they should tread cautiously. Delegates and representatives in any democratic form of government have always faced the Burkeian challenge – whether to do what their constituents believe is in their best interest or what the politicians believe is in their constituents’ best interests. Any legislator who votes for the LDP’s legislation should be prepared to clearly articulate why they believe this legislation is in the best interest of Japanese citizens – even if the citizens themselves remain unconvinced.